Agile team today released a new version of Agile Seller/Vendor module 1.1. This is a accessory module of Agile Multiple Seller/Vendor module - a best PrestaShop based market solution. Agile Seller Shipping make it available for each seller has his/her private carriers and provider buyer at product level carrier selection features. The main change on this release 1.1 is to make it configurable for admin on how to use Store Default Carrier. In previous version, the Store Default Carrier will be used for any seller that does not have any carrier available. In some store owner (market place owner), this might be not a good scenario. Now admin can make decision on how to use default store carrier based on their business and situation. Option 1: Yes - use store default carrier for seller when there is no private carrier available . 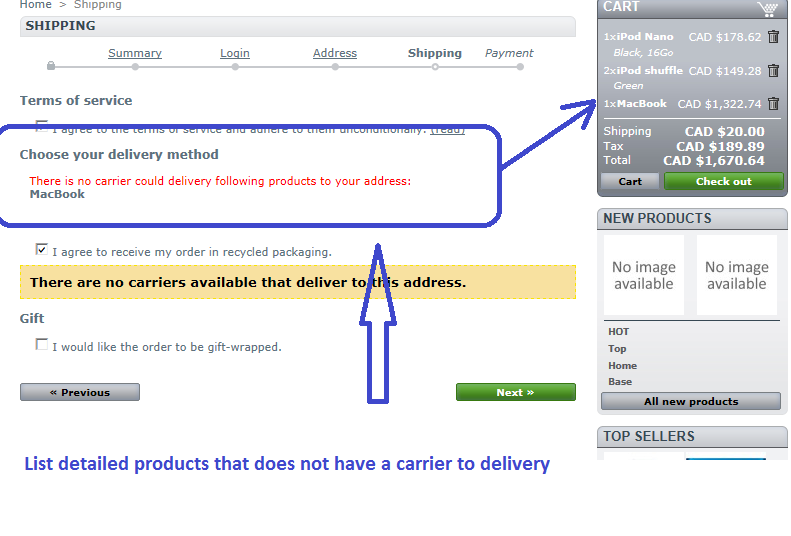 Option 2: No - Do not use store default carrier for seller when there is no private carrier available . If most of the sellers have different carrier and different shipping fee rules. And you also want prevent buyer to purchase any product that does not delivery to a specific zone/region, then you can choose Option 2. In this case, all sellers must set at least one carrier. For other accessory modules for your PrestaShop based online market place solution, please visit http://addons-modules.com, most modules have live demo site for you to verify the functions and features by yourself.